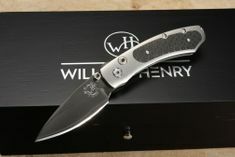 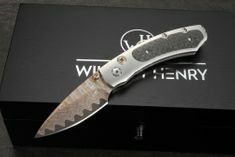 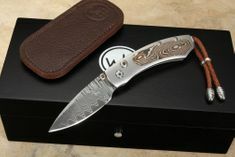 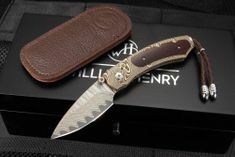 The William Henry B09 Kestrel are smaller knives for greater ease of carrying. 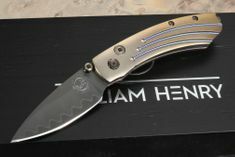 The blades are hollow ground to a razor sharp edge. 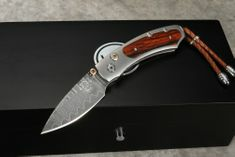 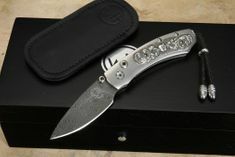 The knife utilizes a button lock construction and a thumb lug for easy one-handed operation. 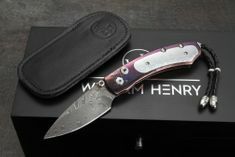 The entire B09 Kestrel is about five inches in open length, carrying a knife blade length 2.09", of that will easily fit into your everyday carry gear - comfortably carried in either shirt or pants pocket.